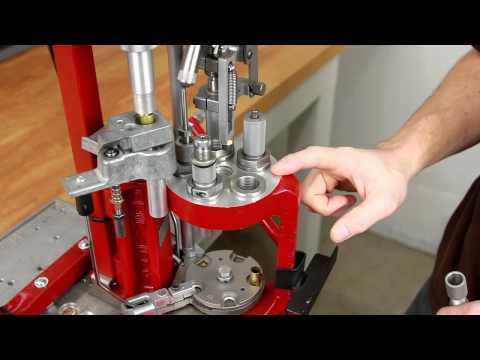 Share the post "Pulling Bullets Safely and Efficiently with a Collet Puller"
How much can you save reloading your own ammo? Well that depends on the cost of components and how much you have invested in your reloading gear. UltimateReloader.com has created a handy online Reloading Costs Calculator that lets you quickly compare the cost of reloaded ammo vs. factory ammo. Just enter the costs of powder, primers, bullets, and brass, and the Calculator will tell you the cost per round, per 20-rd box, per 50-rd box, and cost per thousand. Note — when setting the price of the brass you need to divide the initial cost by the number of predicted reloads. For example if you have 500 pieces of brass that cost $40/100 to buy ($200 total), but you get 8 reloads per case, then you put $25.00 in the Calculator ($200 total brass cost divided by 8). Ah… but there is a catch. To understand the true cost of reloading, you also need to consider the costs of your tools and accessories, amortized over the tools’ loading lifespan. Let’s say you have $1000.00 invested in presses, dies, tumblers, measuring tools and other accessories, with a residual value of $500.00 (upon resale). If you load 5,000 rounds with those tools over their lifespan, you need to add $0.10 per round for tooling costs (your investment minus residual value, divided by the number of rounds loaded). The UltimateReloader.com Calculator does not include amortized tooling costs, but that’s something you can easily figure out on your own. After you’ve tried out the Reloading Costs Calculator, check out the other content on UltimateReloader.com. This site features some of the best gun-related “how-to” videos on the internet. With sharp video and clear audio, the production quality is very high. If you use a progressive press (Dillon, Hornady, RCBS), you should definitely watch UltimateReloader.com’s videos — you’ll probably learn a new trick or two. In the sample video below, you can see how Hornady’s new Bullet Feeder works with its Lock-N-Load Progressive press. Share the post "UltimateReloader.com Reloading Cost Calculator"
Service Rifle shooters and varminters burn through a lot of ammunition. If you’re shooting more than 250 rounds of ammo a month, you may want to consider getting a progressive press — at least for your practice and varmint ammo. New technologies have made today’s progressives more efficient than ever. RCBS has developed a rifle-bullet feeding system that works with the RCBS Pro 2000 Progressive. The bullet-feeder can also be fitted to some Dillon units with modifications. There are four main components to the RCBS rifle-bullet feeder system: 1) base and two-piece adjustable column; 2) collator (bowl and motor); 3) drop tube and shutoff assembly; and 4) bullet feed die assembly. Our friend Gavin Gear has tested the RCBS bulet feeder on an RCBS Pro 2000 for his UltimateReloader.com website. You can see his hands-on video review above. I’m pleased Gavin did this review because I have a Pro 2000 myself, and I can confirm that it is a very good machine. It is sturdy, the rotary-style powder measure is very precise, and the strip primer system works great. (I can change from small primer feeding to large primer feeding in a couple of minutes — honest.) I’ve also found the strip primer system virtually foolproof — so long as you insert the strips in the right direction! I haven’t used the Bullet Feeder yet, but you can see the Pro 2000 in action with the feeder in Gavin’s video above. To learn more about the RCBS Pro 2000 Progressive and the rifle-bullet feeder system, watch the video above, and then log-in to UltimateReloader.com to read Gavin’s Bullet Feeder Overview and Bullet Feeder Overview Part II. Share the post "UltimateReloader.com Tests RCBS Progressive with Bullet Feeder"